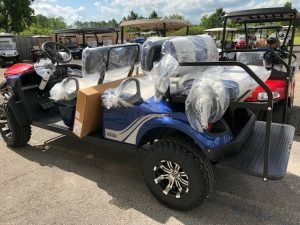 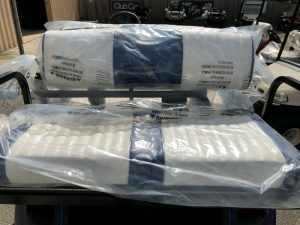 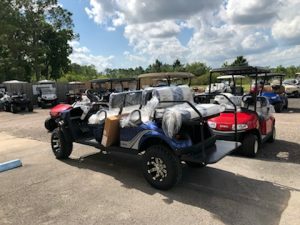 New 2019 EZGO Express L6 72v color: Electric Blue, White/Blue seats, white canopy, split windshield, horn, factory LED light kit, turn signals, unique keyswitch, charger. Right Off The Truck! 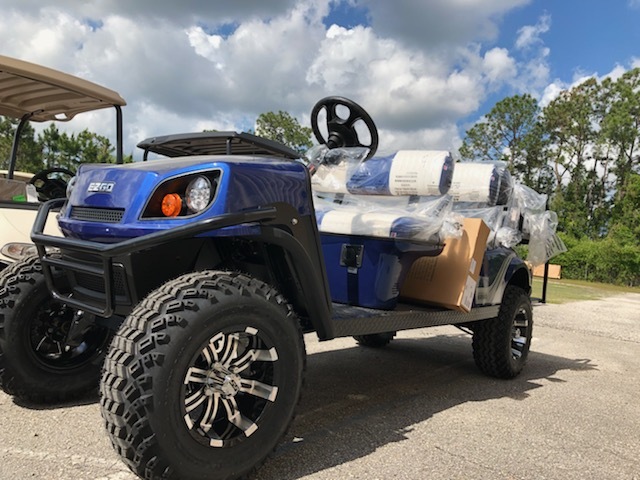 Finished Pictures Coming Soon!